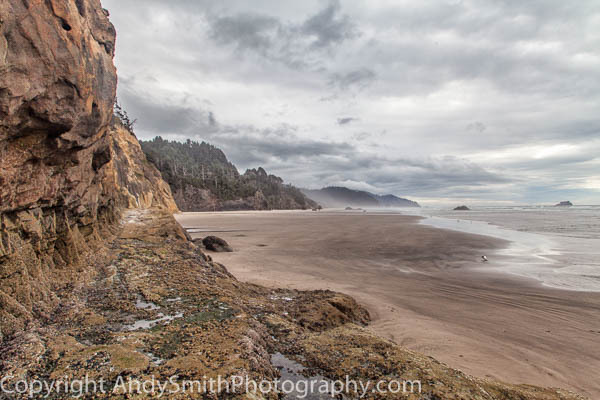 The Oregon coast is one of nature's treasures with high rocky shorelines and wide beaches. At low tide the expansive beach can be viewed from many rocky places that are underwater at high tide. Here a gull is feeding at Hug Point State Park.